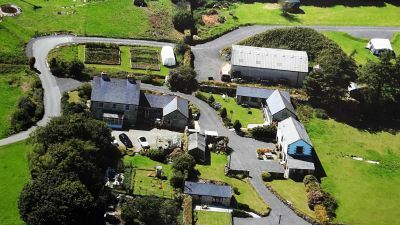 Cheesewring Farm enjoys a hillside location with views of up to 20 miles across to the hills of Dartmoor. Behind is Stowe's Hill, with a backdrop of the tumbling granite spoil from the former Cheesewring quarry. To the north, Sharp Tor rises high above the adjacent moorland farm and to the southeast is Caradon hill and the ruins of the South Phoenix Mine. Cheesewring Farm is “off the beaten track” but most of the attractions of Cornwall (including the north and south coast beaches) are within a 40 minute drive. 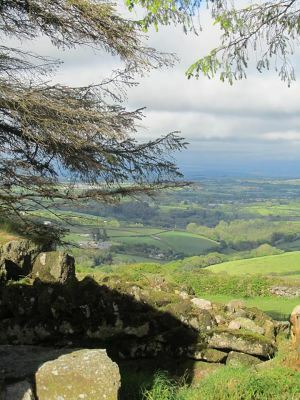 Bodmin Moor, and the superb opportunities it offers, is all around and can be accessed from the farm. 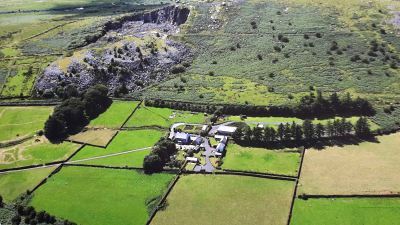 Whether you choose to book a stay at one of our cottages or opt to bring your own accommodation to the Campsite we guarantee you will feel "On top of the world" at Cheesewring Farm. The Peace and Tranquillity of the site will refresh you in Mind and Spirit. There is also a Campsite with excellent facilities for tents and caravans. Dogs are welcome on site (up to three per booking). We provide extra space for off-lead exercise, but ask that all dogs are kept on leads in the public areas. The layout of the cottage gardens make permanent fencing impractical in all but Fizz-Gog cottage. Temporary netting fences can be provided on request for cottages but dogs still have to be supervised. Remember to turn on sound!